In Serbia, no one can hear you scream. 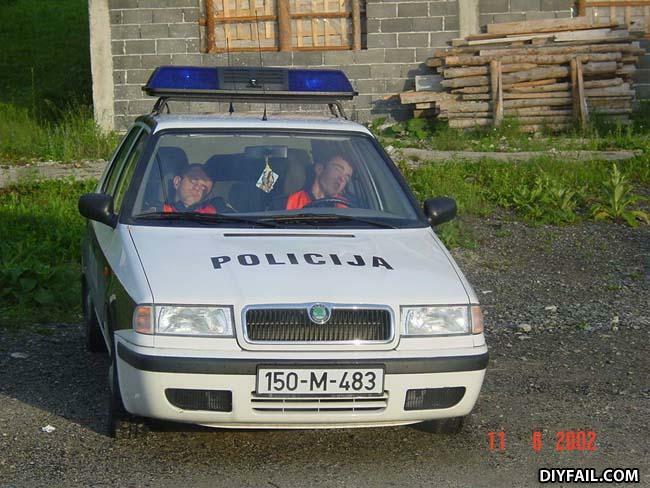 This is Bosnia, not Serbia. Crime rates are up, you say? Check out the picture of two hot chicks hanging from the real view mirror. no commendant, we weren't alseep during the stakeout, honest! What the difference between a circle and a triangle? You're an idiot if you don't know the difference.